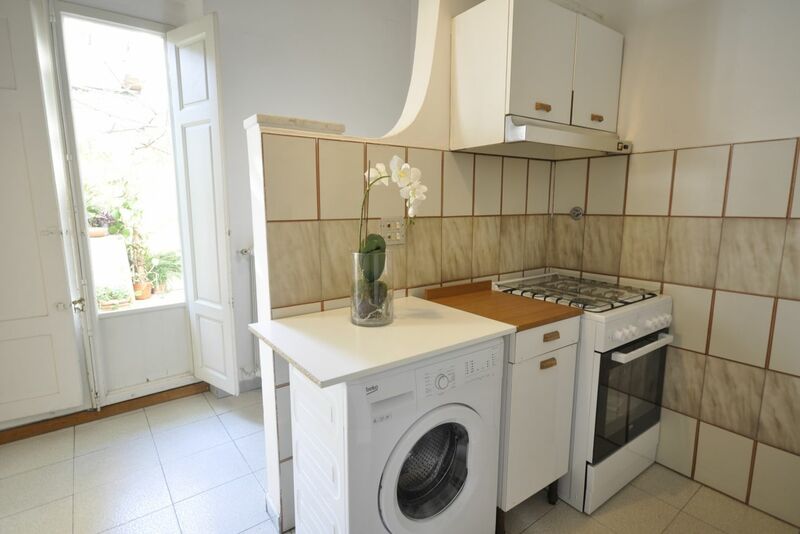 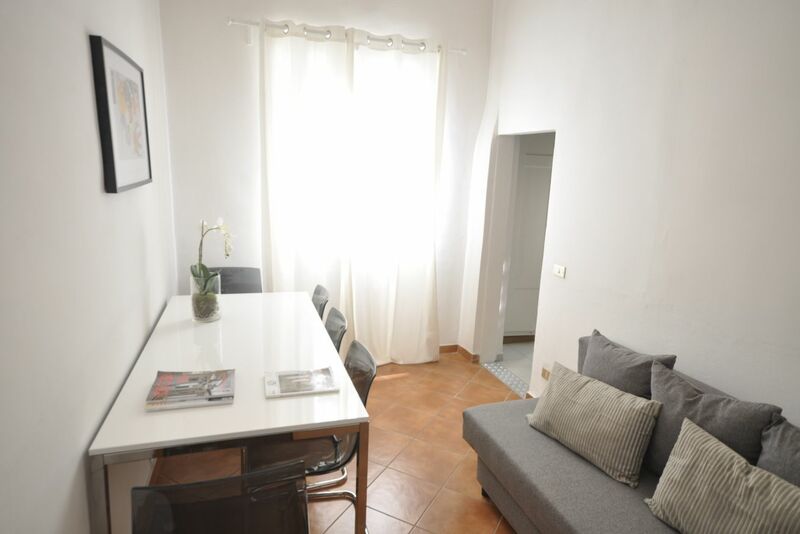 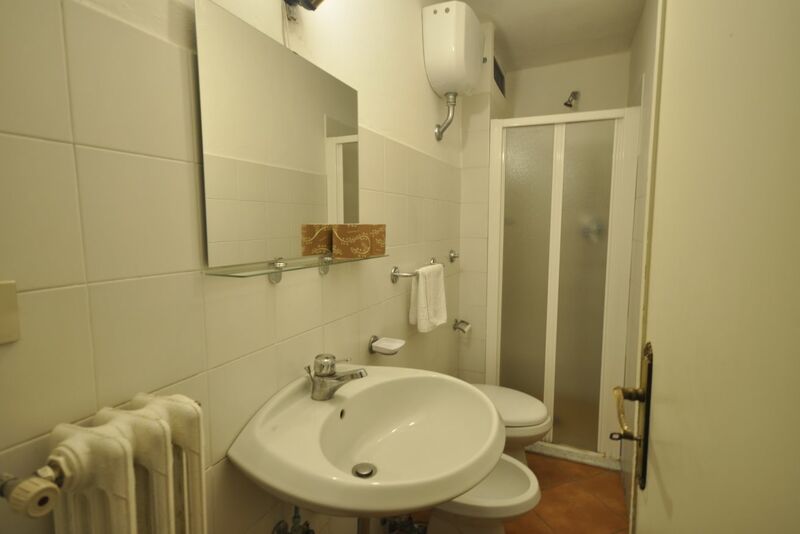 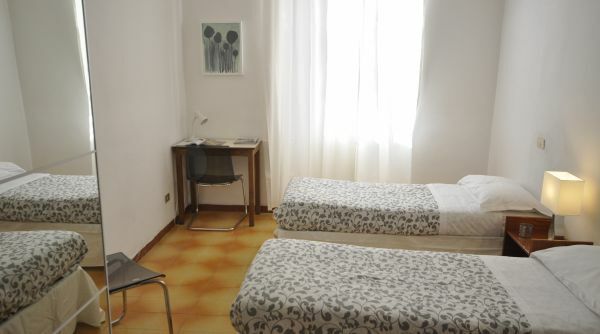 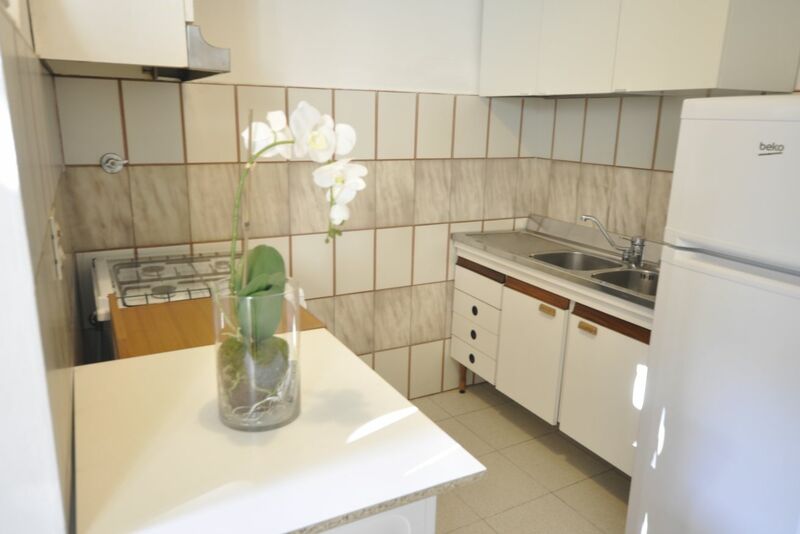 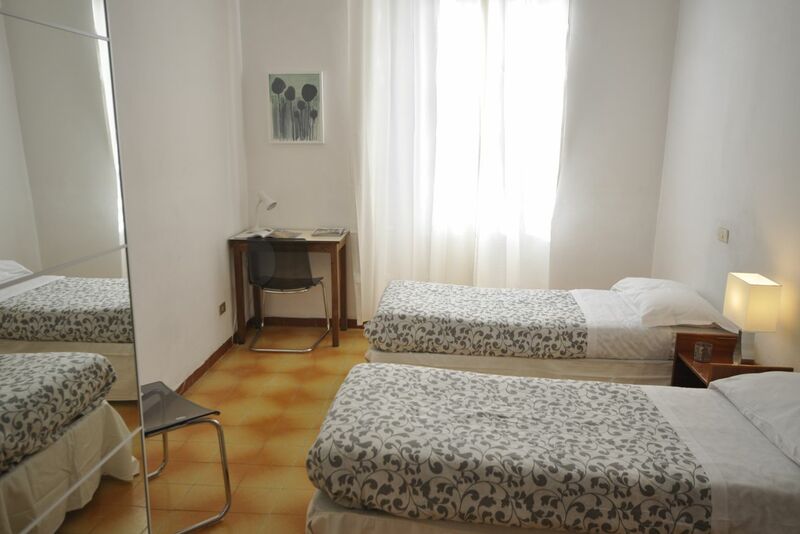 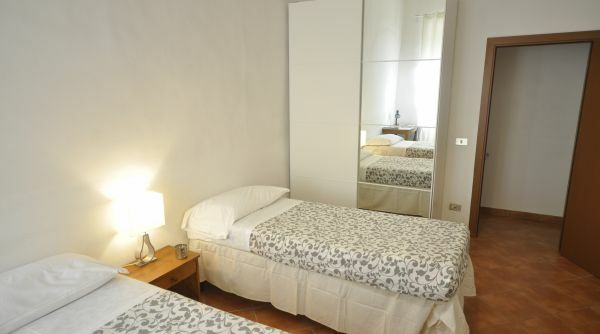 This 3-bedroom, 2-bathroom budget friendly / student apartment is located in a great central position, just a 5-minute walk from the station and near all the famous monuments and tourist spots to be seen in Florence! 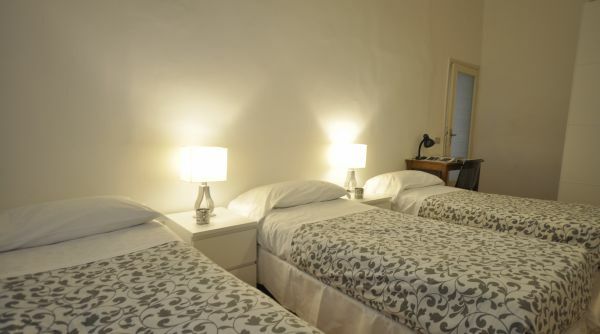 It consists of 3 bedrooms: the first one has 2 twin beds, while the other two bedrooms have 3 twin beds each, for a total capacity of 8 people. 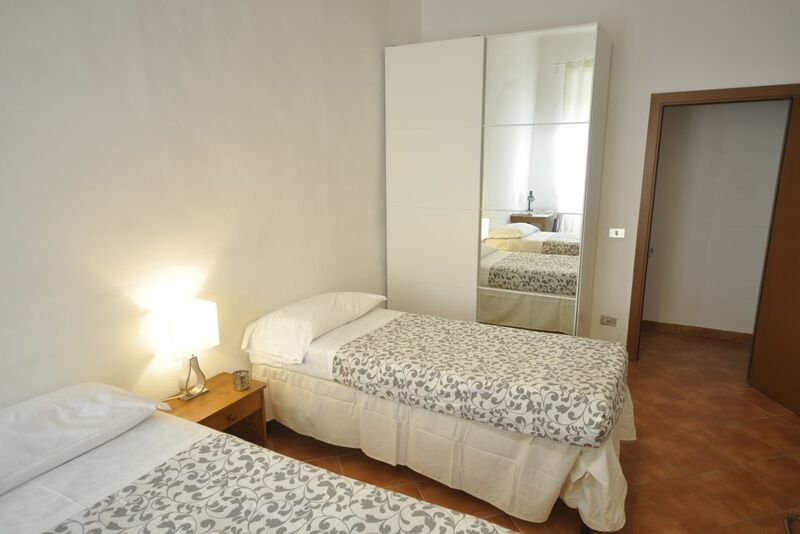 The bedrooms are bright, simply furnished and have large closets. 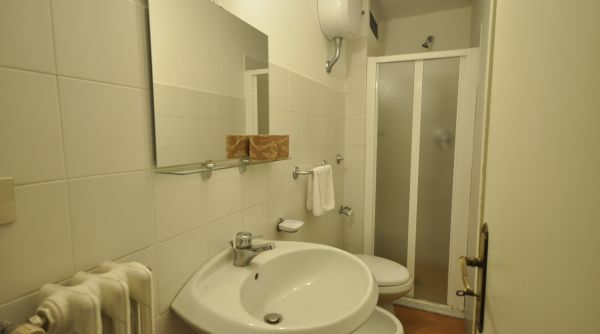 There are 2 full bathrooms. 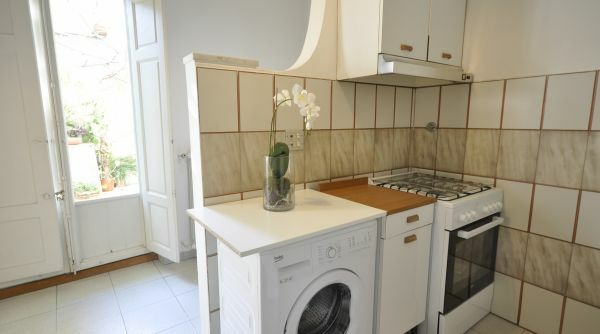 The kitchen is small, but fully equipped. 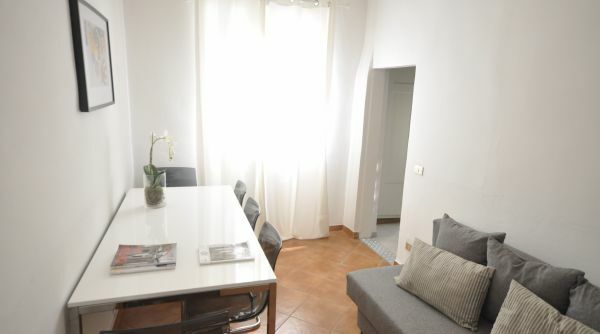 There is also a compact bright living room with a dining table and a couch. 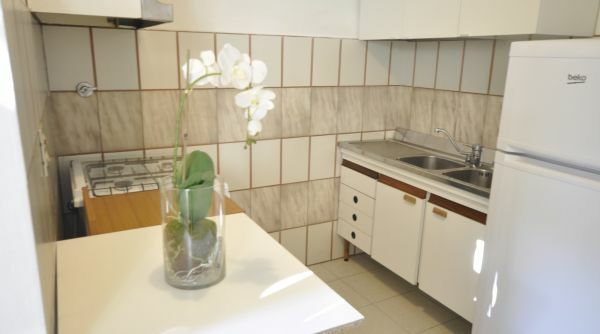 The property features a large private outdoor courtyard that runs along the length of the apartment. 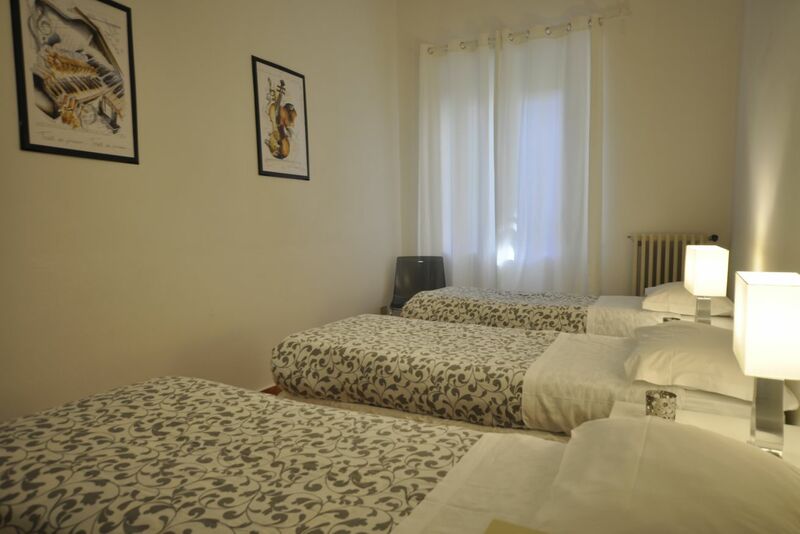 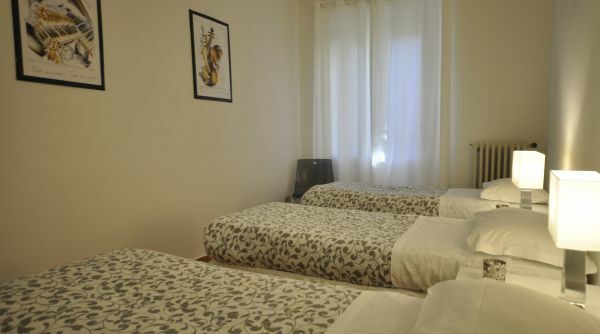 This budget friendly apartment is ideal for students, or any group that wishes to stay in the center without having to pay the normally very high prices offered here!